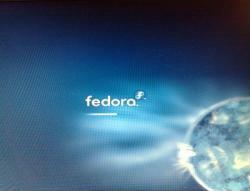 Plymouth is the new Graphical Boot system of Fedora 10 which replaces the old RHGB boot system. If you have already installed Fedora 10 and are able to see a blue-white bar at the bottom of your monitor/screen while Fedora 10 loads, then Plymouth is actually enabled on your system. You are unable to see any eye-candy as your screen`s display is not yet optimised (read: kernel modsetted) for that. What is required for Plymouth to work? Now you need to edit your grub.conf file which is located in the /boot/ or the /boot/grub/ folders. You`re now almost done, just Reboot!